One of the state's most prominent Tea Party activists needled the one-term incumbent agriculture commissioner over a variety of perceived missteps at a debate Tuesday night. 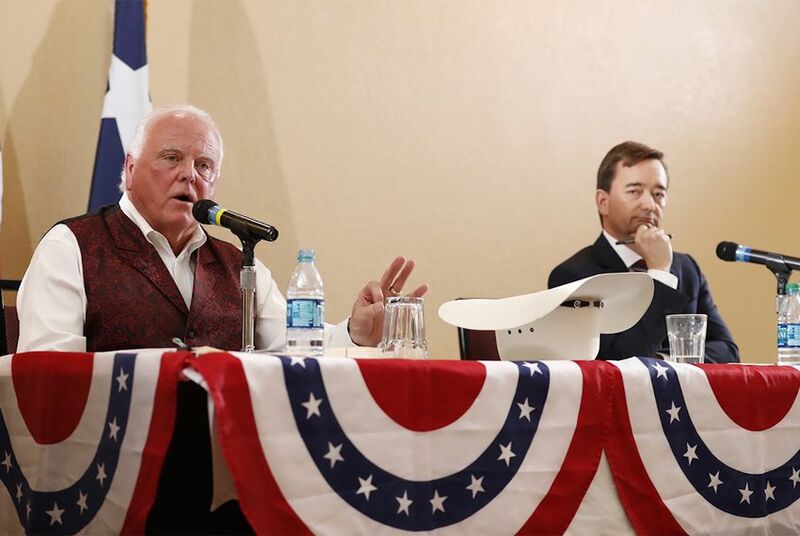 TYLER — Embattled Texas Agriculture Commissioner Sid Miller spent the better part of a Republican primary debate Tuesday night defending a volley of perceived missteps that have plagued his first term. And the pressure wasn’t just coming from his opponent, Trey Blocker, a longtime Austin lobbyist and conservative podcast host. 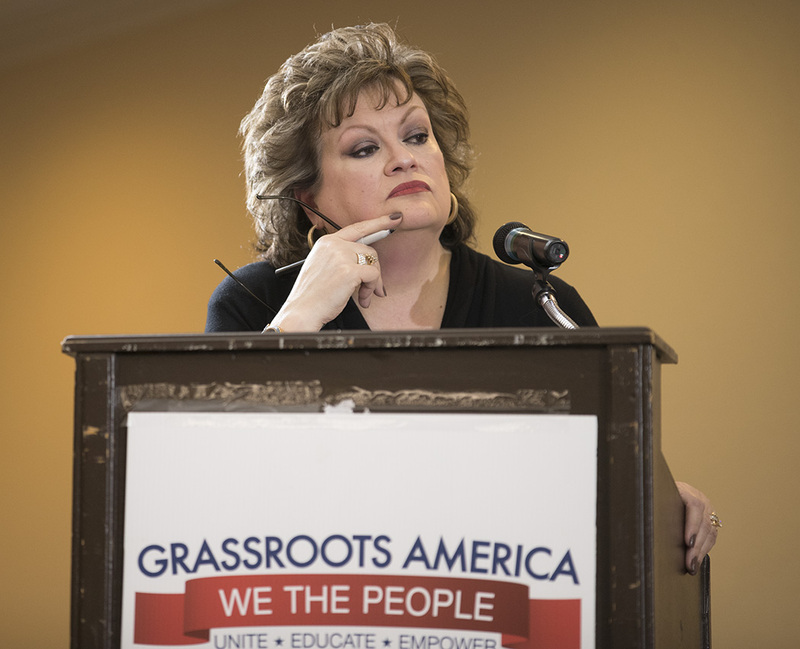 Moderator JoAnn Fleming, one of the state’s most prominent Tea Party activists, peppered Miller, a former state lawmaker, with questions about a variety of actions he’s taken during the past three years that would appear to stray outside the bounds of traditional conservatism. Among them: Why did Miller raise fees on farmers and ranchers while also doling out hundreds of thousands of dollars in bonuses to agriculture department employees? Did doing so somehow violate agency policy? And what was the reasoning behind it all in the first place? In his responses, Miller — who is known for his social media bluster — painted a picture of a state agency that was in dire shambles when he arrived in January 2015 after winning office in a GOP sweep. Morale was at an all-time low, he explained. And the bonuses — which he said weren’t given to executives — were aimed at boosting it. As for the fees — hiked after Miller unsuccessfully lobbied the Legislature to reverse budget cuts that he voted for as a state lawmaker — Miller said many of them hadn’t been raised in decades and that the increase meant taxpayers wouldn't have to subsidize the agriculture industry. He also disputed a state audit that found that the fee hikes generated tens of millions in excess income. Later, though, he said the department hopes to lower the fees or even offer rebates by this summer. “I could have done that before the election,” he noted. “But we don’t work that way at the ag department; we’re taking our time and doing it right." Lowering fees is one of Blocker's main campaign promises; the hike, he said Tuesday, was "tantamount to theft." "I want to restore honesty, integrity and fiscal responsibility to the Department of Agriculture," Blocker said in his opening statement. "The sad fact is we can’t trust Miller to govern as a conservative anymore." Toward the end of the hour-and-a-half-long debate, Fleming asked Miller if there’s any mistake he’s made during his first term that he would do over if he could. “If I think of one, I’ll let you know, but I can’t think of one,” Miller said after a lengthy pause. Fleming heads up Grassroots America — We The People, one of a few high-profile conservative groups that backed Miller in 2014 but have withheld endorsements so far this cycle (at least one has thrown support behind Blocker). Miller is still the favorite to win on March 6, however, having secured key GOP endorsements. "Just because every other conservative group does something doesn't necessarily mean we will do that," Fleming said in an interview before the debate. "We're independent. We make our own decisions based on the best information we can compile." A third candidate in the race, Jim Hogan, is not actively campaigning. It was clear on Tuesday that Miller is taking Blocker's challenge seriously. The Stephenville native repeatedly dismissed Blocker, who lives in Fredericksburg, as a "low-level" lobbyist with connections to Democrats. Blocker countered that Miller used to be a lobbyist himself. And he noted that President Donald Trump — who Miller spent much time praising on Tuesday — also has donated to Democrats. After the debate, several attendees — there were about 50 in all — said they were still undecided. "Which liar do you trust?" said Rick Eisenbach, president of the board of directors of Grassroots America —We The People, which will soon convene to decide which candidate to support. "I think the homework is just beginning for us."